Learn about the traditions of the Catholic Church for mayor feast days and solemnities like Christmas, Easter, Pentecost, Baptism, Confirmation, Holy Communion, celebration of Matrimony, etc. The first ever conference on the Call to Fatima was held at University College Cork on Saturday the 30th of October 2010. 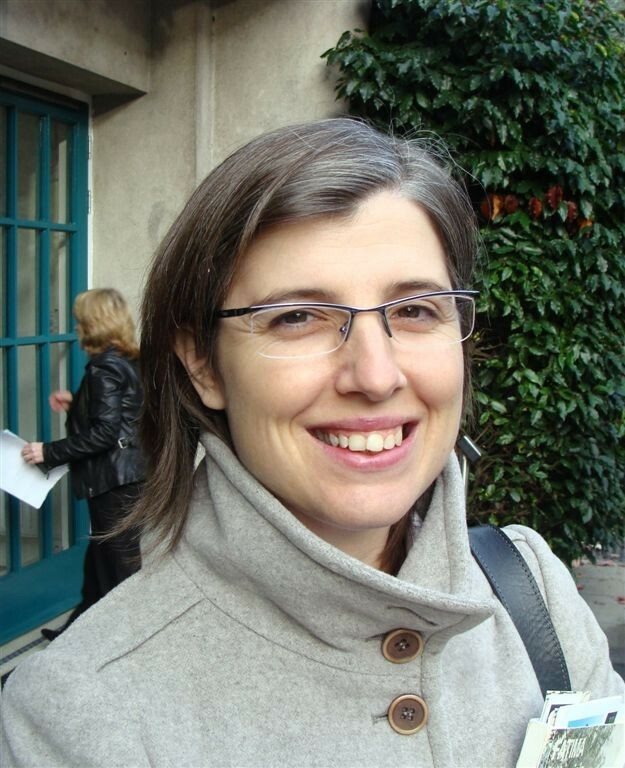 This conference came about as a result of a workshop which was organised by Miss Solvita Kivlina on the 4th anniversary of the death of Sister Lucy on the 14th of February 2009 at All Hallows College in Dublin. The Conference was opened by Father Michael Maher SM who is a Marist priest and who has a passionate devotion to Our Lady. He explained to delegates that the apparitions of Our Lady in Fatima in 1917 to three young children are probably the most dramatic and urgent intervention of Our Lady to suffering humanity, broken by sin and rejection of God’s love and salvation. The Angel who described himself as the Angel of Portugal appeared on two more occasions to prepare the children to “offer sacrifices continually to the Most High” and to make everything that they did a sacrifice which was offered in reparation “for the sins by which God is offended and as a petition for the conversation of sinners.” On the 13th of May in 1917 Our Lady appeared to the three young children who were minding sheep at the Cova da Iria, which was a very large field in Fatima not far from Aljustrel where the children lived. After the introductory talk Father Maher led the delegates in reciting the holy Rosary while giving passionate meditations on each mystery, admonishing delegates to never abandon the Rosary. In between each decade world renowned Irish soprano Louis Irvine sang sacred songs to the delight of the delegates who were moved by the beauty of her voice and her dedication to her music which gave great honour to Our Lady. The Conference had some 400 delegates from every corner of Ireland north and south, and who were all enrolled in the Brown Scapular once the holy Rosary was completed. Delegates were also told that 9 nine priest were available for confessions and that a special chapel had been prepared for Eucharistic adoration throughout the day. Conference organiser was Thomas McCormack a Dublin based Film Producer and Managing Director of Euro Finance Group whose motto is “When goodness is put before profit.” He told delegates that Sister Lucy had received millions of letters throughout her life asking questions related to the message of Fatima. He explained that from the time of the apparitions in 1917 to the day she died in 2005 at the age of 97, many people were concerned by various aspects of their faith, their lives and their involvement or lack thereof in the life and mission of the Church. 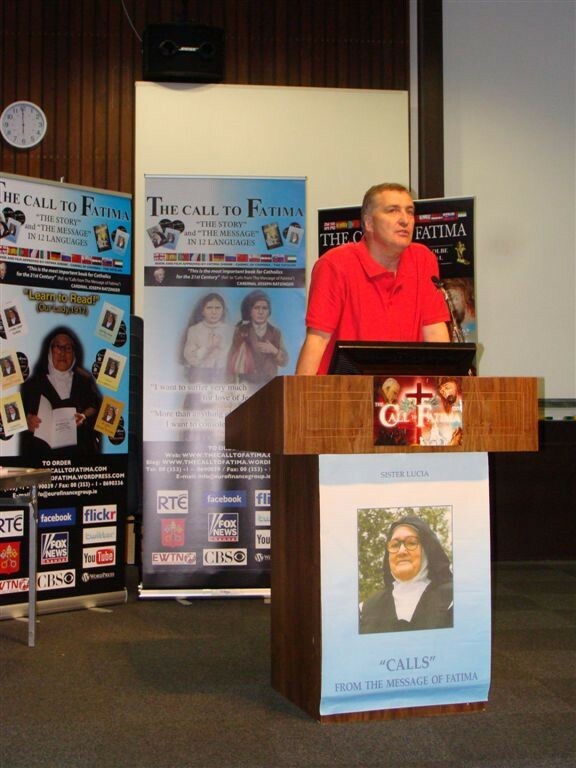 Sister Lucy had decided to write a book entitled “Calls from the Message of Fatima.” This book McCormack said “summarised all the questions that people had and were continuing to ask about their faith and what if any, had Fatima to do with them” he said. The book, he continued was her response to the millions of letters which she wanted to respond to personally to but was unable, so with the permission of the Holy See, Sister Lucy put pen to paper and wrote in the style of a long letter, addressed to all those who had written to her concerning their doubts, desires and difficulties, and in living up with greater fidelity what was asked of them from Heaven. The most important message of this book Thomas Mc Cormack told attentive delegates was contained on page 207 of the 304 page book, which concerned the 10 commandments. He went on to say that this call was the kernel and chief aim of the message of Fatima. “Sister Lucy was told by Our Lady to learn how to read, in order that she could write down the message and transmit it to the Church, who would give it its full approval before giving the message to the entire world- sadly he said only 4% of the world’s population know about it. In speaking to the children in Fatima, he went on, Our Lady told them” I will tell you who I am and what I want” and later she would reveal Herself as the Lady of the Rosary. Ironically, McCormack stated “that in the last show of “Questions and Answers” hosted by John Bowman of RTE, the audience was asked what Ireland should do now that it was facing the abyss- to which the unanimous answer was that we should return to the 10 commandments and to prayer. Therefore the laity has a big role to play in promoting the faith in parishes and in other areas he said. “I have taken this book the “Calls” of Sister Lucy and have put its essential contents in DVD film and translated it into 12 languages for the benefit of those who don’t read or don’t want to read” said an impassioned McCormack “so that the important message of Fatima is spread throughout the world for the Glory of God, the honour of Our Lady and the salvation of souls. The book and DVD “Calls to Fatima” have the full authorisation and approval of the Sacred Congregation for the Doctrine of the Faith, the Carmelite Nuns of Coimbra, and the Sacred Sanctuary of Fatima. The DVD recently won first prize at the Saint Maximillian Kolbe International Film Festival. Delegates to the Conference were also given a gift pack containing a rosary beads, scapular hymn sheet and prayers. The main guest speaker was Sister Angela de Fatima Coelho, who is not only a religious Sister but a medical doctor and has been appointed by the Holy See as Vice-Postulator of Blessed Francisco and Jacinta Marto who were both beatified by the Venerable Servant of God, Pope John Paul II (The Great) on the 13th of May in 2000 in Fatima. Having introduced herself in perfect English and with a most wonderful personality she tells delegates about “her children” Jacinta and Francisco. 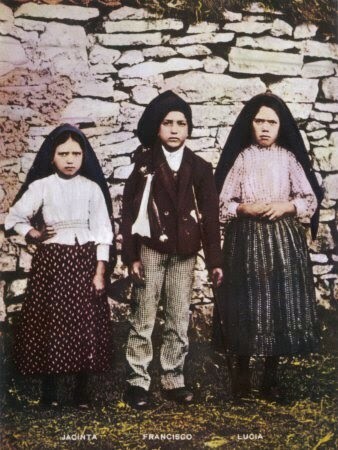 “the main source of what we know about Francisco and Jacinta comes from Sister Lucy” she said, “but there were other sources like their family and the parish priest of Fatima Father Manuel Ferreira but it was Sister Lucy who knew them better than everyone” she said. In summing up the lives of Jacinta and Francisco Sister Angela told the delegates that the children of Fatima were just normal kids who worked hard and played, doing their household chores and being obedient to their parents. Jacinta she said was “over-sensitive with games and as such, games could only be played according to the rules of Jacinta.” However after the apparitions of Our Lady, which endured for 13 years in the case of Sister Lucy until 1929 in Tuy, the children accepted that the centre of their lives was no longer themselves but Our Lady and through Her, Jesus. Quoting again from Pope John Paul II‘s book on the Rosary, Sister Angela told the conference that in praying the Rosary, the Pope called it his daily meeting with Mary. The profound changes that took place in the lives of the children of Fatima came about through the power of the Rosary and the Lady of the Rosary. Francisco was so moved by what the Angel told him to “Console your God” that after this, the young 9 year old would spend two hours in silent adoration before the Blessed Sacrament in his local parish Church. Francisco, Sister Angela stated “received sufficient graces that he could understand the hierarchy of truths about God- when asked if he loved the Angel, he said he did, but he loved our Lady more and then again he loved Jesus even more than that, and that he experienced Jesus in his heart following that beautiful light that came into his heart from the hands of Our Blessed Lady. Noting that Our Lady had asked the children is they would undertake to suffer in reparation to God for the terrible sins of humanity and to make sacrifices for the conversion of sinners, especially after the vision of hell and with it the Devil and souls who had died in the state of mortal sin “The children responded with an immediate yes” said Sister Angela “because Jesus offers His Cross to his friends” What followed saw the three children arrested and placed in jail for 3 days of mental torture having being told they would be burned alive in a big fire. The children suffered much abuse afterwards by unbelieving crowds of people who came day and night looking for them. But they knew what was going on Sister Angela and offered it up. Eventually Francisco died at home surrounded by his family but assured as was Jacinta that Our Lady would come for them and bring them to heaven. Jacinta no longer over sensitive, but now offering to undertake even more sufferings especially for the Holy Father, whom she had seen alone in his chapel with his hands on his face and he was crying, later she saw him kneeling in front of a statue of Mary praying and finally as all three children saw “the Bishop in White” who was killed by soldiers. Jacinta suffered and died alone in Lisbon in an isolation ward of a hospital offering up her sufferings right until the last minute when Our Lady fulfilled Her promise and came for her and brought her straight to heaven Sister Angela told a tearful conference who were deeply moved by the inside story of the love and dedication of the little seers of Fatima. “Sister Lucy had her share of sufferings also” Sister Angela told the conference, who in place of Doctor Branka Paul, who was Sisters Lucy’s personal Doctor for the last 15 years of her life and who could not attend the conference due to the fact that her own mother was dying in hospital, gave her message. “She was told by the bishop of Fatima that she would have to leave home, take a new name, go to another country and never tell anyone who she was, and in addition to that, never to write directly to her family but only through a designated person- This type of suffering was very hard and Lucy didn’t want to do it, she cried day and night at the thought, and promised to disobey the bishop, however Sister continued, Lucy ran back to the Cova and cried, telling Our Lady that she would disobey the bishop- When Our Lady came, and placing Her hand on Lucy’s shoulder, reminded Lucy of her promise to make sacrifices for the conversation of sinners, Lucy did what the Bishop had requested. Finally Sister Angela referred to the apparition of the Blessed Trinity and Our Lady in Tuy in Spain in and the request of Our Lady for a new devotion that God wanted for the world and that was devotion to the Immaculate Heart of Mary. Part of this devotion is to go to Mass on the first five Saturday’s of the month, sacramental confession, recite the holy Rosary, while meditating on its mysteries for at least 15 minutes and to receive holy communion that is to be offered up in reparation for all the blasphemies, sacrileges and outrages by which the Immaculate Heart of Mary is offended. This Sister Lucy of Jesus and of the Immaculate Heart of Mary did until the day Our Lady and Jacinta and Francisco came for her on the 13th of February 2005 at the age of 97. The Irish bishops have asked for a “Year of Renewal” for Ireland to include Adoration, Confession, prayer and Reparation, it is a pity that they did not recommend the book and DVD “Calls to Fatima” as a personal companion to that year of renewal because this book encompasses all that they ask in a most eminent way. The conference concluded with benediction and holy mass and in keeping with that beautiful Fatima tradition delegates waved their white handkerchiefs at the departing statue of Our Lady of Fatima which was brought to Cork by devotees from the diocese of Kerry. Many delegates asked when the next conference might be, and early indications are that it will be held in Dublin in May of 2011. Further information can be obtained from; The Call to Fatima, 32 Manor Street, Dublin 7. Ireland .Telephone ( 00353) 01 8690039. Fax (00353) 1 8690336. Book of supernatural revelations written in simple style entirely by Sister Lucia, the last visionary of Fatima apparitions. 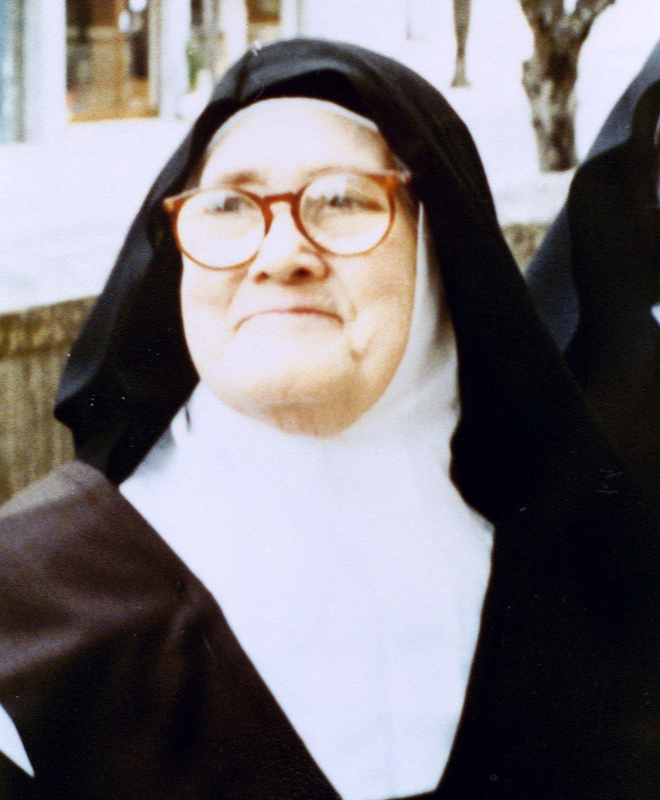 There are many people who dreamed of having a face to face meeting with Sister Lucia. However such people will find in this book the reply to the deepest questions they would like to put to her. “Calls from the Message of Fatima” is a great tool for Evangelisation. 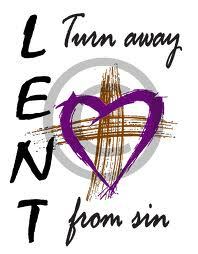 It is Sr Lucia’s spiritual testament. The book is inspired by the Word of God: authentic, profound, universal, gives very good point to the three Christian realities: Purgatory, Hell and Heaven. The entire message of Fatima is a great call to holiness for the Church of our time. Book “Calls from the Message of Fatima” is a roadmap for young and old, for those who found God or are still seeking. It should be in every Catholic home. 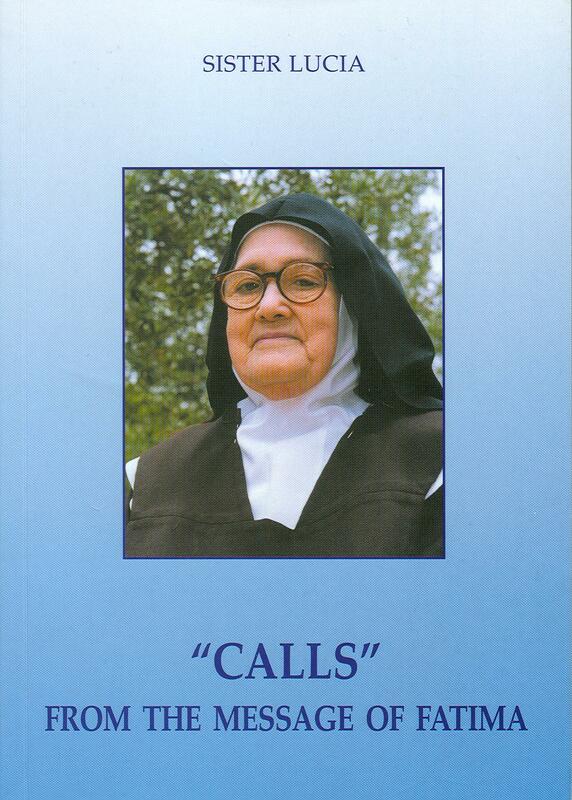 Full with beautiful quotes of Sister Lucia, Bible references and inspirations. Written by the soul who was promised Heaven. As a bonus the two film documentaries “The Call to Fatima” are inside the book available in 11 languages, including English, Spanish, Russian and Chinese languages. 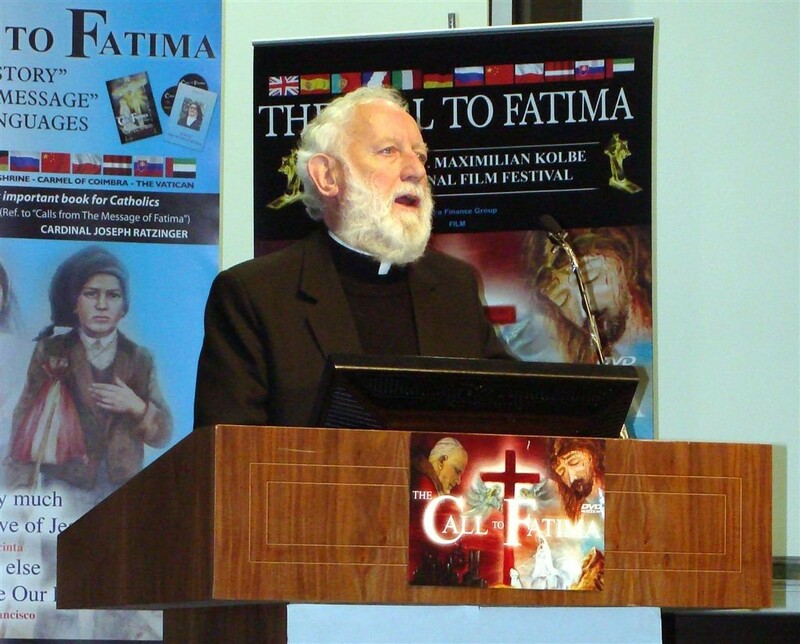 “The Call to Fatima” is award-winning film, based entirely on Sister Lucia’s books and offers great understanding into the Message of Fatima chapter by chapter. Both come with the approval of the Vatican and The Fatima Shrine.